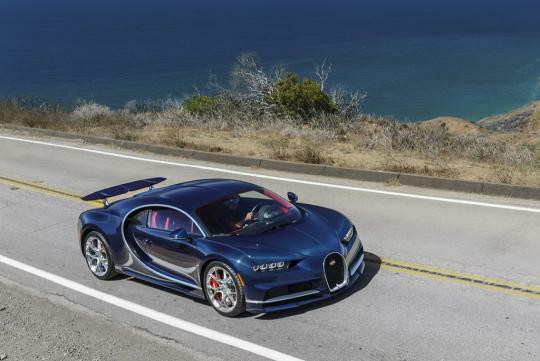 With 1,479bhp, the Bugatti Chiron can do an electronically limited 420km/h. But that is only 5km/h faster than a Veyron. If you are upgrading to a Chiron/adding a Chiron to your collection, you might be a little disappointed considering the additional power and tech the Chiron has. According to Autoblog, the limit is set at 420km/h to protect the tyres from disintegrating. Willi Netuschil, head of Bugatti’s engineering department, said the top speed can be increased to about 458km/h if a customer wishes to. He also mentioned that customers is unlikely able to achieve such speeds as a much greater braking distance is needed at these levels. Oh, and just for fun, the average Chiron customers is said to have around 42 cars, 1.7 jets and 1.4 yachts. Sounds reasonable to us! This is an impossible beást! Bs! It is impossible to buy 1.7 jets and 1.4 yachts! Saw it up close and personal. Absolutely stunning beast. The stuff dreams are made of.